Summer is right here and so our sun dresses too are out. With your favourite dress, you must wear perfect perfume. Get ready for fresh florals, citruses and zesty notes for the hot season. We have rounded up designer perfumes portraying summer vibes and vacation mood. Summer is the time to be carefree and have fun. This delightful fragrance opens an ethereal chapter in your life. With a smile and a wink, the Marc Jacobs Daisy Dream Eau de Toilette invites you to a world of playful charm. Daisy Dream plays its melody of fruity floral notes with a light-hearted feel, bright and joyful but always sophisticated. Daisy Dream opens with an irresistible blend of blackberry and pear, juicy and sweet. In the heart, a blue-tinted bouquet of wisteria and jasmine unfurls beautifully, before a dry down of tropical coconut water provides a touch of the unexpected. Summer is the time to go on a vacation and Gucci Flora is the perfect partner to accompany you. From the heart of Gucci’s storied legacy comes Flora by Gucci, a new fragrance for women. 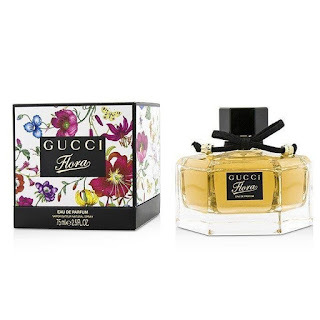 Inspired by Gucci’s iconic Flora pattern, the core is composed of Rose and Osmanthus flower, with top notes of citrus and peony, and a base of Sandalwood and Patchouli. 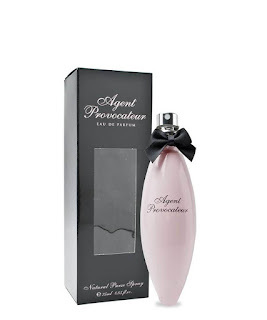 Buy perfumes for less at Fragrances Cosmetics Perfumes. It is an ideal summer scent. It is a delicious and flirtatious fragrance for women; it symbolizes the pleasures of femininity. Opens with accords of candied cherries that lead to the heart of cocoa absolute, which flirts with angelica, both wrapped up in elegant iris. The final signature of strength and sensuality is provided by accords of musk and cashmere wood. The magic alchemy of this potent potion lies in the secret of an exotic floral Chypre which combines top notes of pure Saffron oilfrom India and Coriander from Russia, with a sensual heart of Moroccan Rose Oil, Egyptian Jasmin, French Magnolia Oil, Ylang and white Gardenia flowers from The Comores. Spending holidays in the lap of nature? Then this charming fragrance of leafy greens, freesia and black currant drawn to the musky energy of amber, sandalwood and vanilla is perfect to accompany you. 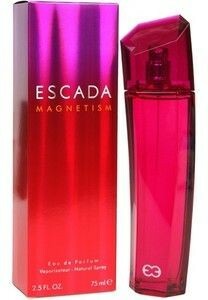 Escada Magnetism conveys a feeling of energy. Pure and simple in its modern design, it is also multi-faceted and ultra-feminine. For a beautiful free spirited woman, this one is ultimate. 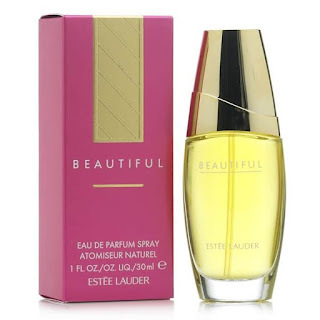 Estee Lauder Beautiful for women is a tender and romantic fragrance with a bouquet of delicate floral notes warmed by a heart of soft woods and spice that create an understated and luxurious seduction. Estee Lauder Beautiful EDP 30ml Spray will leave you shimmering from head to toe. Let it be in your bag while you embark on a vacation this summer.